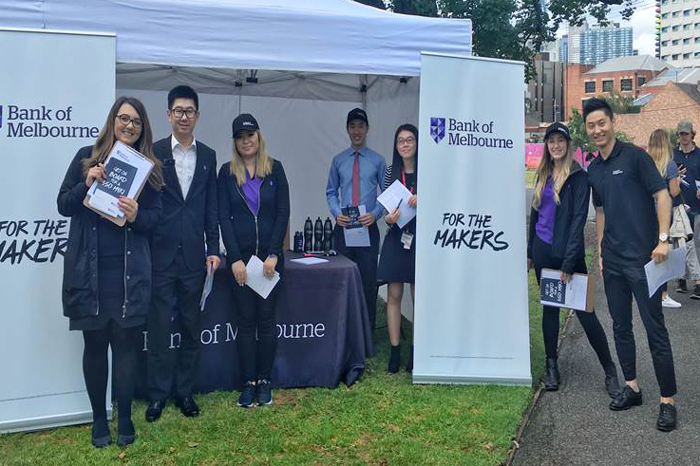 Bachelor of Commerce students share their 12-week internship experience with Bank of Melbourne. 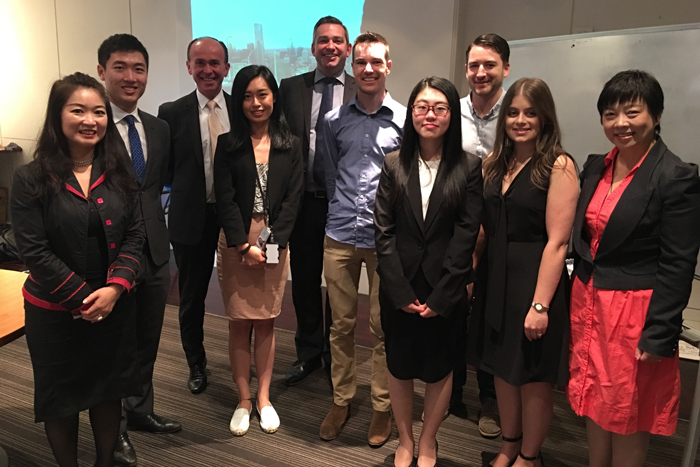 January 2017 saw Bank of Melbourne (BoM) roll out its inaugural internship program in partnership with the University of Melbourne. Lewis Chow and Yanzi Han, in their penultimate year of the Bachelor of Commerce at the Faculty of Business and Economics, spent 8 weeks rotating through 12 different areas of the business to develop a holistic understanding of Bank of Melbourne's operations. Some of the areas they gained exposure to included Premium Banking, Private Banking, Asian & Migrant Banking, and Foreign Exchange Markets. Develop an Asia-capable workforce to attract, develop, deploy and retain. “The experience surpassed my expectations,” Chow said. “In addition to our daily corporate tasks, we also had the opportunity to participate in a number of the bank's key events, meetings and client visits.” These included the official launch of its Chinatown branch, a Lunar New Year client banquet held at the National Gallery of Victoria, and assisting with Bank of Melbourne’s sponsored stall at the University of Melbourne’s Orientation Week. During their time there, students completed a valuable project to capture, analyse and map the language capabilities of the financial institution’s retail branch network. They conducted phone interviews with over 100 managers and retail staff across 63 branches, and collated results from online surveys to uncover front-line staff's insight and ideas. This information was crosschecked with the 2011 census data of suburb demographics. As a result, they were able to recommend and initiate tangible actions to drive acquisition and retention strategies for business growth. However, they also discovered that language skills are not always distributed in the right locations. To conclude their internship, Chow and Han presented to Scott Tanner, BoM Chief Executive and University of Melbourne alumnus (MBA, Melbourne Business School, 1990), as well as the executive team. The group were impressed with the level of professionalism and maturity demonstrated by the students during their internship, and praised their outstanding delivery during the final presentation. Faculty of Business and Economics students have access to a wide range of enrichment activities. Visit us online to learn more about our internships. If you are considering hosting an internship, please click here.